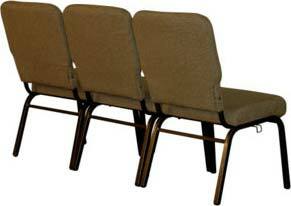 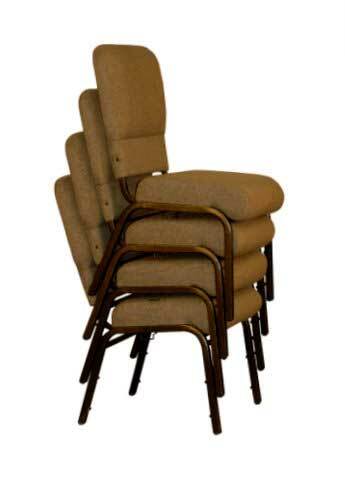 Church Interiors provides metal framed fully upholstered church chairs that are comfortable and extremely durable. Your sanctuary will have pew like seating because these seats come equipped with self ganging hardware that creates straight rows. 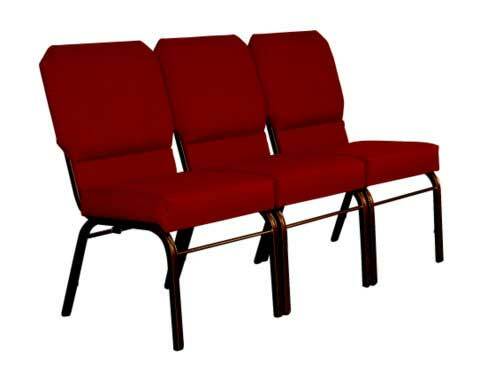 Our church chairs provide comfort to the audience, as well as an elegant appearance throughout your sanctuary or classroom. 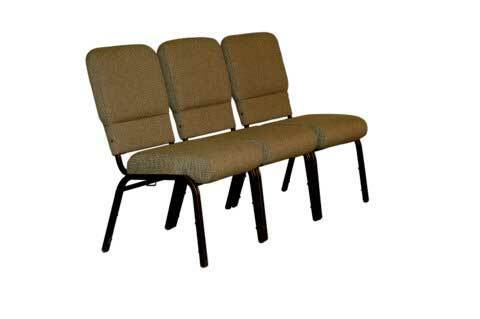 The Armor Encore model of church chairs are equipped with a 5″ foam nosing with a 3″ foam seat. 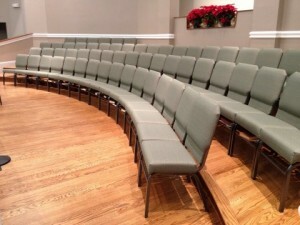 To soften the look and feel of the sanctuary or classroom, the enclosed upholstery covers the metal framing. More comfort is provided by the contour back of the seats.